Again I am posting on environmental issues. It is not that I am a radicalist or a ecologist .. it just so happens that I found some news worth blogging about today and yesterday. Two things got my attention this week. First the RIO UN + G20 conference, the second one being the Arctic Oil Exploration starting up and getting a significant concern. As we all know our cars need fuel. Since the oil prices are only going up, the more inaccessible spots are becoming economical to explore. With that, we finally managed to get rid of most ice on the northpole, making it even more accessible and viable to startup production there.. So some funny examples and some more serious examples of protest and awareness are springing to life. While the Arcticready campaign focusses on one company in mainly one country, all other companies and countries are ramping up for the same actions or are already exploring, thanking that one company for taking most of the heat. The more serious examples of actions can be found on websites like Mission-blue or Greenpeace. you might just want to go to Greenpeace’s website on this and sign the scroll. 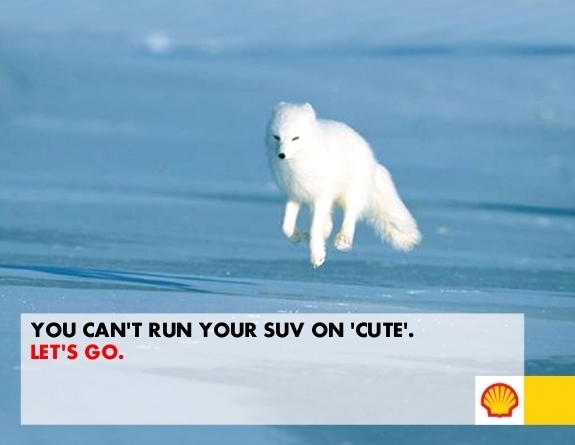 The oil companies start exploring this month. They have a window of just a few months (2 or 3) to work in this environment. They need to be quick, but they have promising rewards ahead. All pretty important, the summit wanted to have a focus on green economy and the institutional framework for sustainable development it seems too much to handle. 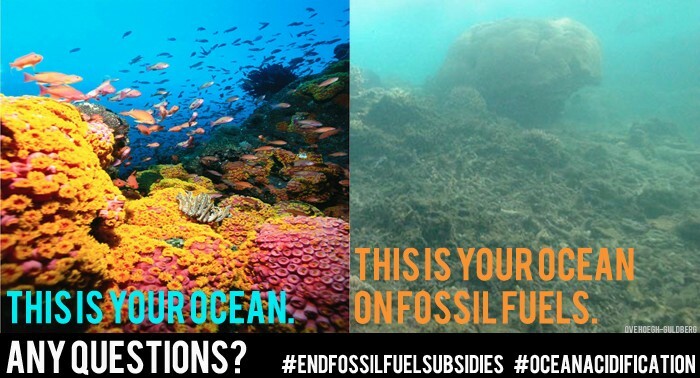 The NGO’s and eco parties have been able to address many problems, but is this not just a bit too much to ask? Shouldn’t we focus on just a few areas and finally solve something? I know what my focus would have been… first resolve irriversable things then go for the other goals. Decent jobs (or: more welfare for more people) are important… but cannot be achieved without all the other things solved. Disaster readiness is nothing if there is a food security dissaster and so on. The above needs to be something that might just need focussing on 1 to 3 items, solve the ocean issue, the energy issue and the food/agriculture issue and the rest can follow. Without solving the first 3 we are not going to make the other areas a succes. Big thing for us might be to not focus on the current afairs like Shell starting exploration, but focus on the big picture. Do something our whole future depends on. Ocean’s 11th hour… or a collection of horror and beauty video’s after which you would gladly sign an online petition. As a hobby underwater photographer, last year I decided to do a biology training… if you know the biology, you’ll understand better how to photograph it, was the idea. It seems to work… Last year I made a new kind of photo’s, more attention to detail and species I did not notice earlier. One of the things I was made aware of, last year, was the peril, the ocean and the earth are facing right now. Probably the easiest way of learning more on this subject is to check out some movies and video. Just reserve one evening with your friends, go and watch The end of the line and The Cove to get some basic understanding of the ocean issue. Then, after seeing the horror in the films below, also check out Sylvia’s pledge and the other material. Sylvia Earle the oceanographer with her very moving 2009 TED Prize wish speech activated me the most. Shocking statistics combined with beautiful pictures, creating a sense of urgency like no-one else did. Sylvia is a scientist and engineer that actually did quite a number of VERY cool things starting in the ’70s with things like walking on the sea bottom in a JIM suit, setting deepdive records along the way. She knows what she’s talking about… not only as an activist, but also as a scientist. She understands the world cannot be moved by simply using violent action, with nothing more than a dogma… she explains the reasons why we should pursue a better, sustainable, life for ourselves and the earth. “Without Blue there is no Green.” –Sylvia Earle. 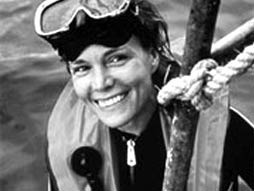 Find Sylvia on the net, with her alliance website or check out mission blue. Sea Shepherd. The little David that is bullying the Goliaths of fishery. Although they are a bit extreme, and to me they appear to be explaining the “why” too little and being a bit too much the fundamentalists of the sea, they actually have some very good points and they have good actions. Sea Shepherd know how to get their story published using the full media, including social media and new technology like drone and unique scouting ships. In recent years the little David has grown up and has more of a fund racing and marketing group, using media as a weapon. that is a good thing .. it requires them to better explain their actions, making their context and background more clear. They are extreme .. but they are getting better in telling us why. 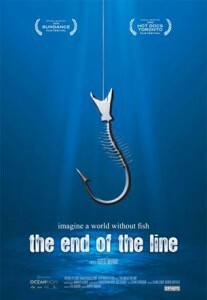 The end of the line, a film shown at one of the theme nights at the dive club. 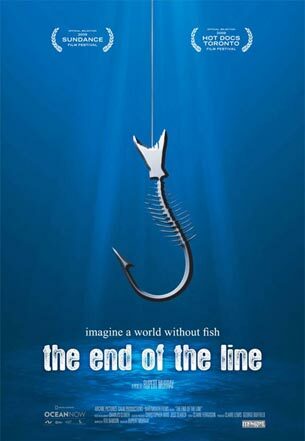 Director Rupert Murray created this documentary that tells the story about how the fishing industry is doing and what the impact of this industry is on the sea and the world. In a bit more depth it shows how (mainly European) politics seem to work and it tells us what simple actions we can take… that actually can help. “ask before you eat, tell politicians, join the campaign.” All good actions, but it will only be helpful if we are with a big enough group… The film itself is worth seeing. It is a good documentary, nothing fancy, good storyline. It explains our need to act now. If you are new to the subject, I would advise you to start with this documentary. The Cove, also from 2009 but directed by Louie Psihoyos is another film to watch. This film is a bit more commercially set. 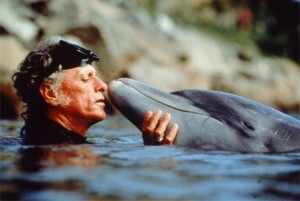 It builds up more tension, and has a storyline that evolved around Ric O’Barry, the person behind the training of dolphins for the Flipper tv-series. His life story twisted around quite dramatically after one of his dolphins committed suicide, being imprisoned for the currently multi-million dollar Dolphin Training industry. The cove is about the industry… but the extreme form. In Taiji, Japan, the industry catches several ten-thousands of dolphins per season of which only a few end up as trained dolphins. The rest is “disposed of” in the way only the Japanese would be able to do. The film describes how activists (mainly Sea Shepherd) try to expose this to the public, how the activists get opposed by government and the locals and what health-risks Japan is taking. See the trailer… be shocked. (you were warned) This is a “must see” film, but it actually only addresses the marine mammals, not so much the wider subject of sustainability or the ocean. Brian Skerry with his great talk on TED shows a less dramatic view, focusing on how and what he photographs, warning us, but still quite gentle. It is more on topic than The Cove. What Skerry tells us is what most of us could have seen happening. The decline of numbers and species. The Fin Trail, another recent documentary addition to the same subject. This is about Sharkfinning, killing sharks by the 1000ths for their fins only. Recently the news is more focused on “activist” Gordon Ramsay, who decided to attach his name to this specific finning issue. It is a pitty that the discussion seems to go more about him than on the subject. Gordon has done some great finning video’s, he is working to convince the food industry. So, if you like, don’t just FBlike the article. Take action, even if just a small token like signing a petition… it is a start. My goal is to get the world aware, starting with me and you. Discuss other good initiatives in the comments, send links, tweet me.